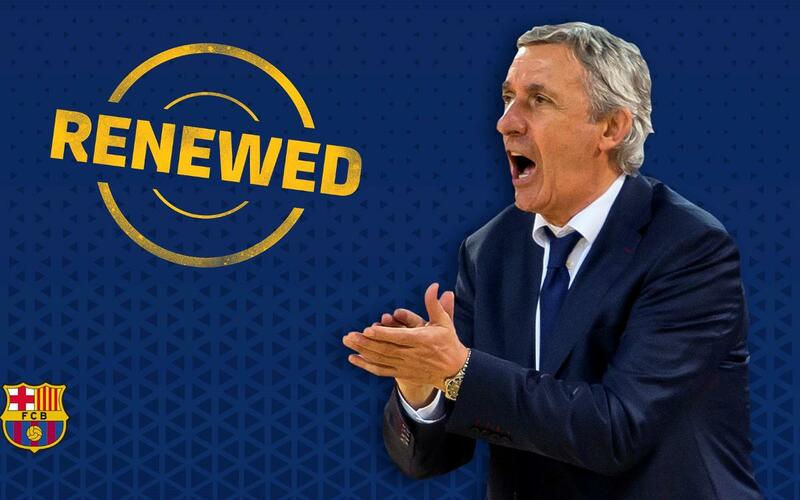 Barça Lassa and Svetislav Pesic have reached an agreement for the Serbian head coach to stay on for another season, through to 30 June 2019. The 68-year-old, who also coached Barça from 2002 to 2004, returned to the Palau Blaugrana in February as a replacement for Sito Alonso and led the side to Copa del Rey glory. Pesic is the foreign coach (to have overseen a minimum of 100 games) with the best winning percentage in the Liga Endesa (71.5%) in his time not just at FC Barcelona, but also Girona and Valencia. At Barça only, the stats are even better: an 83-29 record in the ACB league and 36-14 in Europe. A legendary shooting guard for Yugoslavia in his playing days, Pesic coached FCB to its first ever EuroLeague title in 2003, in a season that the Catalans also bagged the domestic double.. He coached both Germany and Yugoslavia to European Championship gold, and also led the Yugoslavs to the World Championship in 2002. A much-travelled and hugely experienced manager, he has also coached the likes of Dynamo Moscow, Red Star Belgrade, Lottomatica Roma and Bayern Munich over the years.